Brett Appelman was born and raised in Ann Arbor, Michigan. He attended college at the University of Michigan before receiving his JD from the University of Wisconsin School of Law. After graduating from Law School, Brett was hired as an Assistant Public Defender in Kane County, Illinois. He spent the next year and a half defending hundreds of DUI cases, as well as numerous Driving While Suspended / Revoked cases. In 2007 Brett decided to branch out on his own, and opened Appelman & Lloyd in order to devote more time and energy to each of his clients. 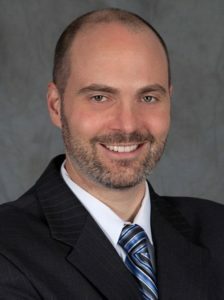 Brett believes that all defendants, regardless of what they are charged with, deserve the best possible legal defense. He has successfully defended clients charged with many types of crimes including DUI, Aggravated Battery, Solicitation, Armed Robbery, Tax Evasion, and Felony Drug Possession and Delivery. Super Lawyers Magazine – Rising Stars Award for Criminal Defense for 2015.